Bishop Vesey’s Grammar School (BVGS) Corporate Partnership has continued its outstanding growth, with the introduction of Birmingham-based insurance brokers, Southall Harries. The experienced firm, who provide a range of specialist insurance services, has joined the initiative’s extensive portfolio, bringing the number of full-time members to 30. 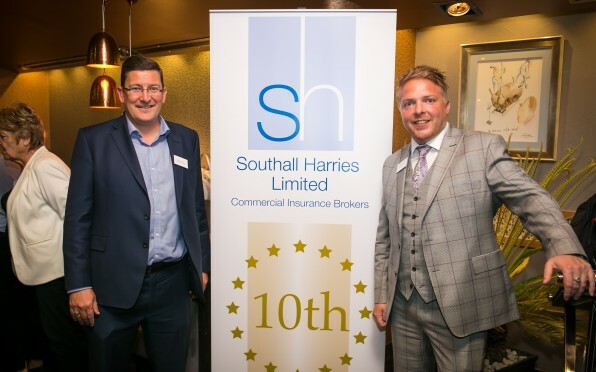 The relationship between Southall Harries and the Corporate Partnership began after Client Relationship Manager and Founder of Southall Harries, Marc Harries, became involved with the Veseyans Rugby Club. Marc is currently head of the mini and juniors section at the rugby club, and it was through this that Marc met and developed his relationship with Corporate Partnership Development Director, Brian Davies. Now an official partner of the initiative, Southall Harries will work alongside the other members to support the school and help improve its services and facilities, while opening the door to future collaboration opportunities with some of the other businesses involved. Marc Harries, commented: “It’s great to officially become a member of the Bishop Vesey’s Corporate Partnership, and we’re looking forward to supporting the school and its members going forward. “Having worked closely with the rugby club, I am aware of how much the school does for its students, and that’s why it’s so important to assist where possible, improving the experiences of pupils at the school.